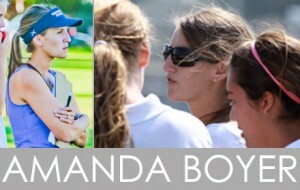 Amanda is the Head Coach for Newport Harbor. Amanda was named the NHHS Coach of the Year for the 2016/2017 season and California Coaches Association Rookie Coach of the Year for the 2010/2011 season. 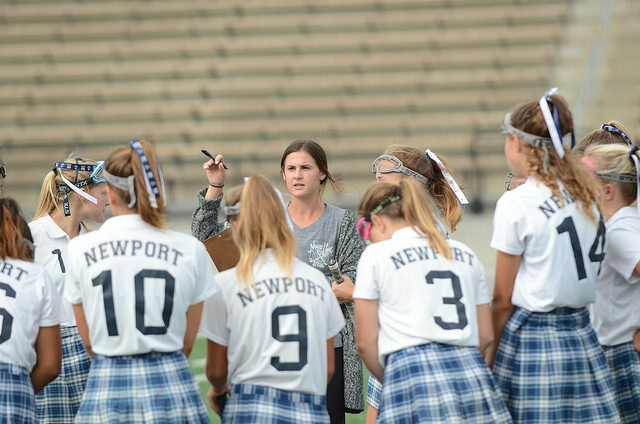 Before becoming Head Coach in 2010, she coached three championship Junior Varsity teams for Newport Harbor Field Hockey and one Newport Harbor Junior Varsity Lacrosse team. Amanda graduated from Chapman University with a BFA in Film and Television Production. A graduate of Newport Harbor High School, Amanda (Wittman) was a four-year Varsity Field Hockey Goalie, a member of the 2003 Championship Team, and recipient of the Sunset All-League Most Valuable Goalie Award as well as the Coach’s Most Inspirational Player Award. In addition to field hockey, she played soccer and lacrosse. Amanda is also an Activities Director and Art Teacher at NHHS. 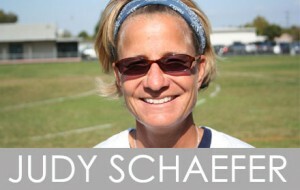 Judy is a Varsity Coach for Newport Harbor. She was born and raised in Huntington Beach and attended Long Beach State where she played Division 1 Field Hockey. Currently Judy is a microbiologist for a medical device company in the Heart Valve Division. As far as field hockey experience, she has been the Club Director and Co-Founder of the Mulligan Field Hockey Association. She served on the Board of Directors for the Los Angeles Field Hockey Association (LAFHA). Judy is an Elite Club Level Player and a USA Field Hockey Association rated umpire. She is a current member of the AAU Umpire Association and a past Futures Coach. So, needless to say, Newport Harbor Field Hockey is very fortunate to have Judy as a part of our coaching staff. Madeline is a Varsity Coach for Newport Harbor. She coached for the Junior Varsity team from 2015-2017. Madeline graduated from UC Berkeley in 2015 with a bachelor’s degree in integrative biology. She is currently employed as a scribe in the Emergency Department at Hoag Hospital and is interested in working in medicine. Madeline is a Newport Harbor High School alum where she participated in field hockey, soccer, and lacrosse. Madeline was a member of the 2009 and 2010 Tournament of Championship Teams and received First Team Sunset League recognition. She cannot wait to have an fun season! Emmy is a Junior Varsity coach for Newport Harbor. She has been coaching since 2017. She graduated from Pepperdine University with a BFA in Critical Film Studies, however she is currently pursuing a career in psychology hoping to attend a master’s program this winter. Emmy is a Newport Harbor alum where she participated in field hockey and lacrosse. As a Newport Harbor field hockey player, Emmy was a member of the 2008, 2009, 2010, and 2011 Championship Teams, received 1rst team all sunset league recognition, as well as honored the Coach’s Award her senior year. Emmy is thrilled to be back pouring into her favorite sport! Mia is in her second season as frosh/soph coach for Newport Harbor High School. A 2015 graduate, she was a varsity player on both the field hockey and lacrosse teams. 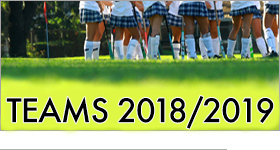 She traveled with the Mulligan club field hockey team as a high school and adult player. While at Harbor, Mia was awarded Tournament of Champions All Tournament Team and 1st Team All League. Mia is proud to be a part of the Newport Harbor Field Hockey program and share her love for the game!